Originally I have bought voltera to use as an alternative to milling, however, after failing another project I am switching back. 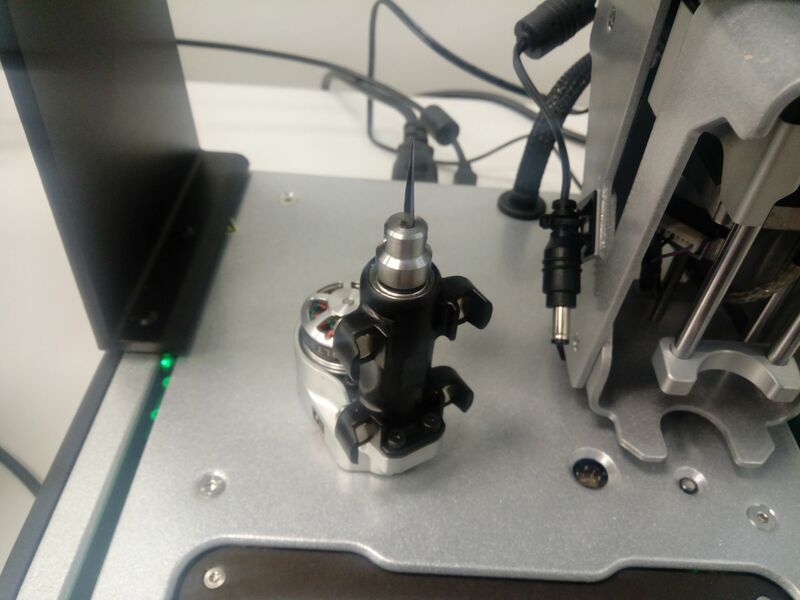 But I do not see what prevents using v-one for that purpose: with z-probe and drilling head, the hardware is already good enough (probably tool fixation in the head will prevent extra-fine alignment). 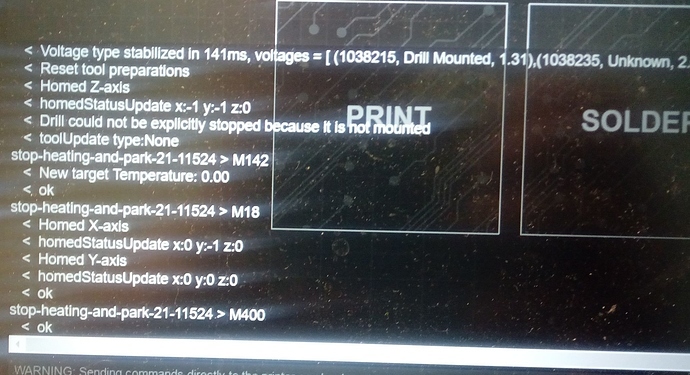 Next days I am planning to try milling by means of g-code console (if I manage to understand how to use it), but I guess adding this feature should not be very problematic, since it is just printing invert image with different head and negative z.
I would be interested to hear what Voltera has to say about this. I have read in the past that they didn’t think the machine was strong enough, perhaps they have some data to share. There is some good isolation path routing software available, including output scripts for Eagle that work quite well and produce G-Code. I have used this with some custom software I wrote to do isolation milling on my Modela, including routing out holes and board outlines. With the rights tools, high RPM, low feed speed and low cut-in rates I think it should be quite do-able on the V-One. When cutting out complete boards the V-One clamping arrangement may not be suitable, unless you want to leave large borders and small break-out tabs to stop the board shifting and fouling the milling cutter, but using double-sided tape between the PCB and sacrificial layer works quite well for this. 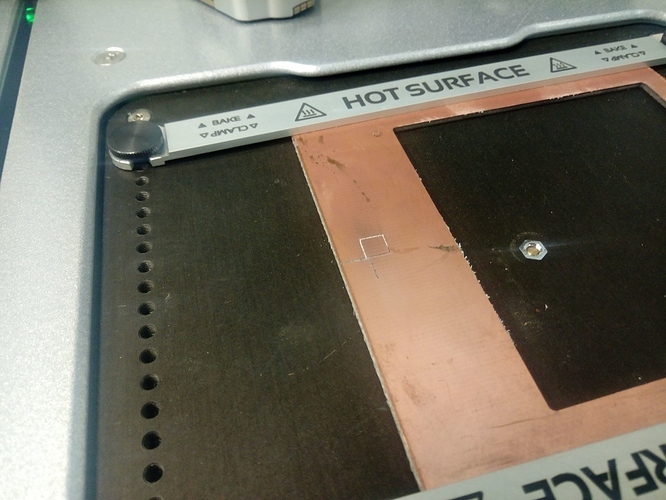 A 0.1mm cut-in per pass and low X-Y feed rate should ensure side-load doesn’t cause the steppers to skip. 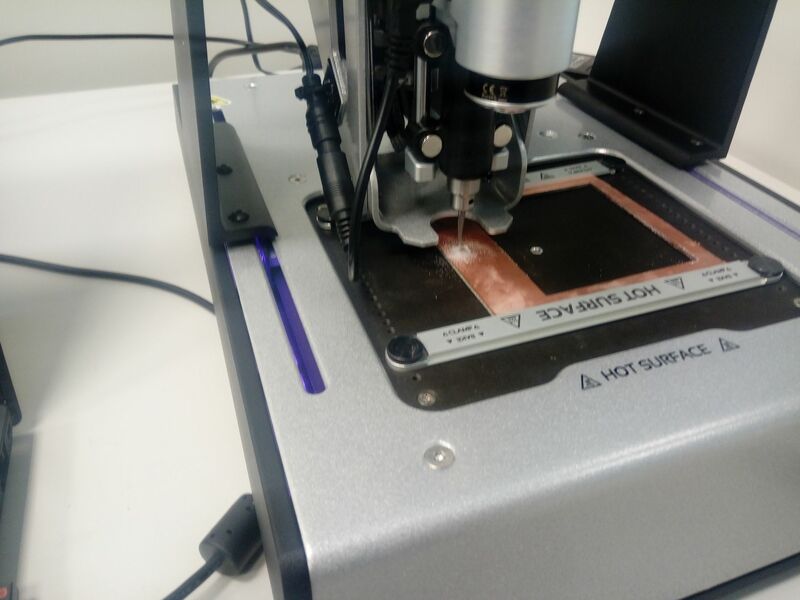 For copper isolation routing I’ve found a sharp 60 degree v-tip works well, one of the most important things is end-play, so the tip cuts through the copper rather than running along the top and just indenting the surface. The V-One drill and z-feed construction seem ideal for this. There is a lot more swarf generated when milling than with drilling, and this gets everywhere including inside the machine, hopefully this wouldn’t become a fire-hazard. Pretty easy to open it up for cleaning though, it is a nicely designed and built machine. I have done some testing and, in case someone is interested, here the results. I have no idea how to run custom g-code file (or v-code), so I can not to run more complicated job. Thank you for your experiment. Could Voltera team add a king of load batch command file ?